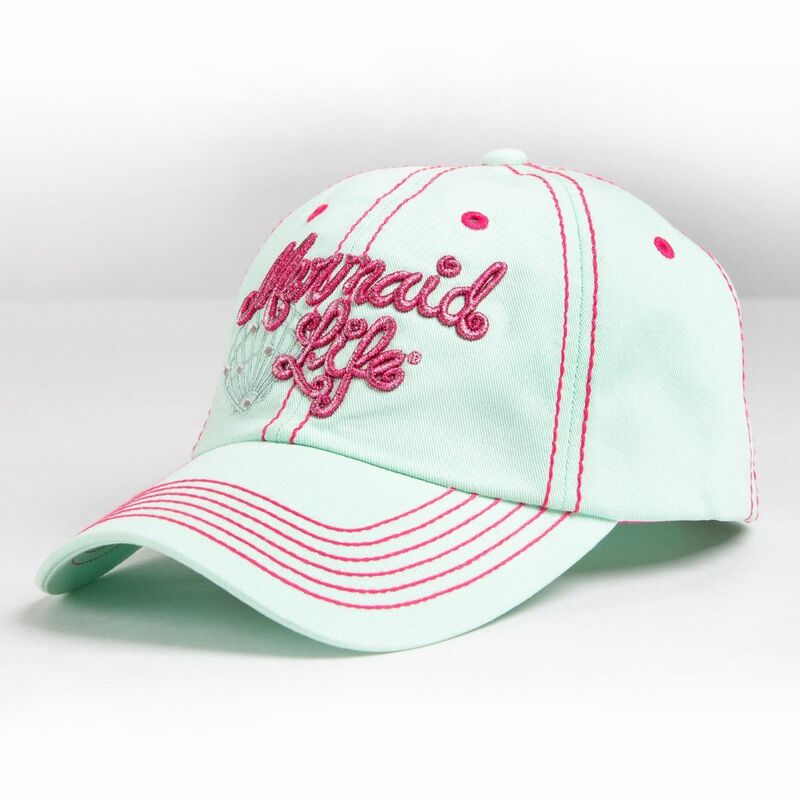 Keep the sun out while paying tribute to the mermaid life with this premium-quality cap for women featuring shiny embroidered lettering and rhinestone detail! Now you can show your mermaid side any day with this fashionable baseball cap for women in a mint/hot pink color palette! 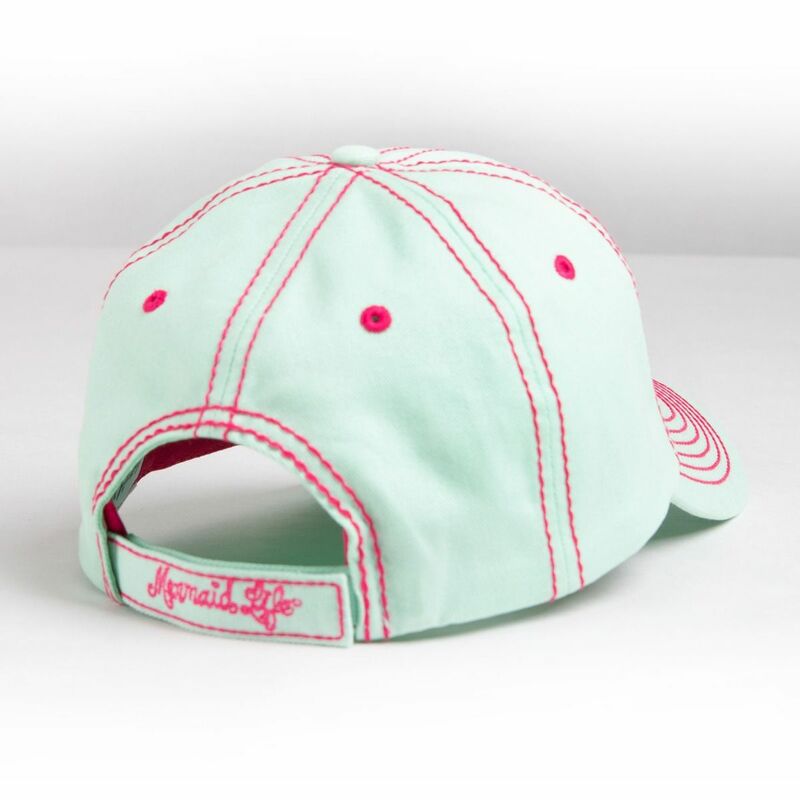 You’ll love the attention to detail on this adjustable, mint-colored cap that features hot pink embroidery and strategically placed rhinestones. Shade your face during a trip to the beach or wear around town just for fun to help hide the bad hair days (or play up the good ones)! Materials & Care Instructions: Machine wash warm on the gentle cycle. Hang dry. 100% cotton.